11 May 2017 - Construction starts on 737 Completion Plant in China. Boeing and Comac have started construction on a new completion and delivery centre for the 737 in Zhoushan, an island port city in an archipelago off the Chinese coast south of Shanghai. The new facility at the Zhujiajian aviation industry park will be operated jointly by Boeing and Comac, the maker of the C919 narrowbody. It will install seats and flight entertainment systems on 737s assembled by Boeing in Renton, Washington, then paint and deliver the aircraft to Chinese customers. "The 737 will be a cornerstone of the Chinese fleet for years to come, and we look forward to delivering 737s to Chinese customers in China,” says Boeing Commercial Airplanes chief executive Ray Conner. At the same time, Boeing also pledged to expand its industrial partnership with AVIC. 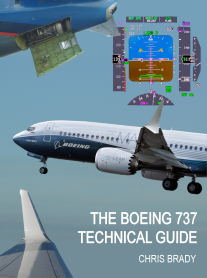 Chinese suppliers already hold major positions in Boeing’s supply chain, building horizontal stabilisers, vertical fins and wing panels for the 737, including the rudder for the 737 MAX. 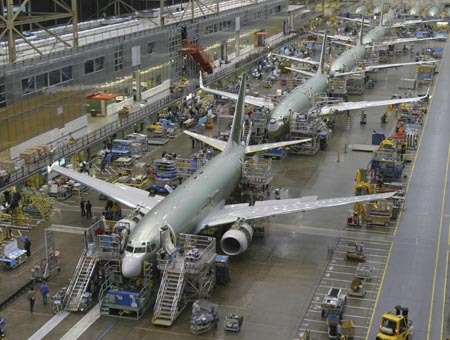 A new framework agreement commits the partners to add major component assembly work for Boeing commercial aircraft by AVIC.